Today is the last ever IBOT (I Blog On Tuesdays) and I’m going to follow Dr Seuss’s advice and not cry because it’s over but smile because it happened. Gee I’ve had some fun blogging on Tuesdays, making friends in my computer and have so many people and posts to be grateful for. Thanks for having me, Kylie! November was action packed with a holiday, a homecoming, a meet-a-versary, a stroke-a-versary, a battery of tests and in amongst all that there was a blogaversary too! 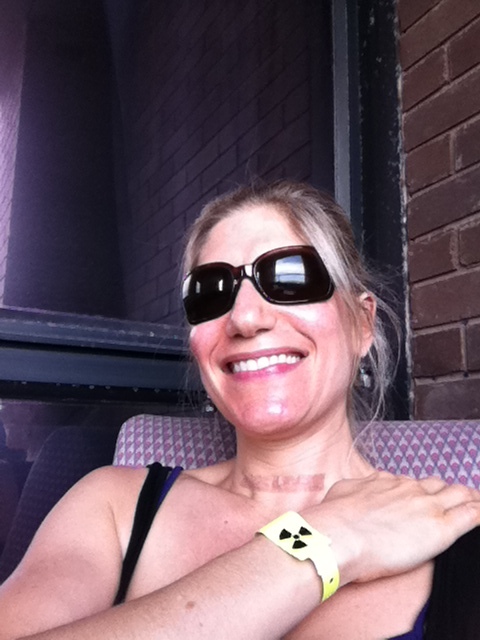 Yes, the blog turned 7 – can you believe? I can’t remember what I did last week but I can remember the day the blog was born like it was a moment ago. I can still picture my radioactive self, in isolation in hospital and tappity tapping on my computer with all my word tsunamis. We’ve come a long way me and my blog and although now I have so many other things to write about other than my diagnosis, I’m grateful for the space the blog has given me and what it’s given to others who have found themselves in a similar situation. There are a lot of annoyed thyroids out there, let me tell you! I have a lot of commitment issues and not much staying power (with the exception of my marriage because David is worth making an exception for.) However gotta love my blog, it’s kept my feet itchy, my cake game real and it’s given me a purpose especially when I needed it most. Now that’s something to celebrate. That’s why I’ve teamed up with my lovely friend Vicki at A Box Of who has just launched a brand new gift range that really is the gift that keeps on giving! 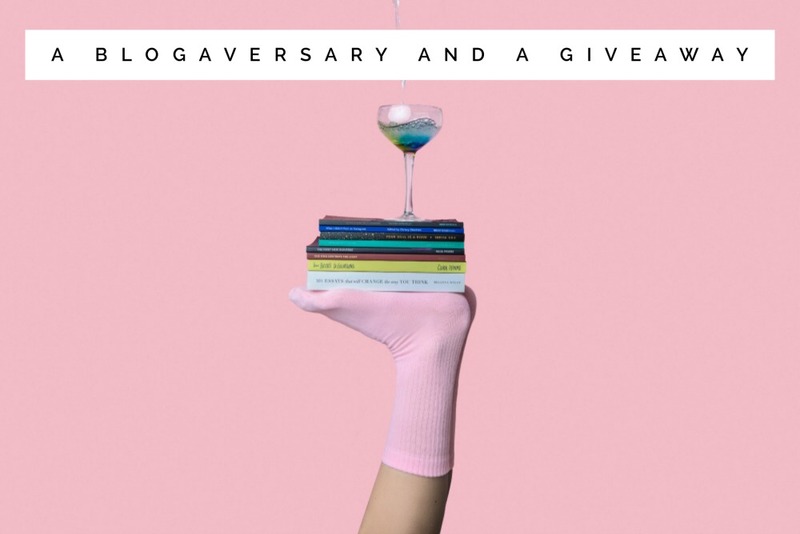 We’re celebrating my blogaversary and all things Christmas with a giveaway and it’s all about books, books, books! I have a 1 book Book Club subscription gift card up for grabs! These days I’m all about experiences and not things but sometimes only a physical gift will do! My favourite things to gift are chocolate, wine, a home cooked meal, homemade sweets (here’s looking at you fudge!) and books! This year I have fallen back in love with books so hard. I am totally smitten! 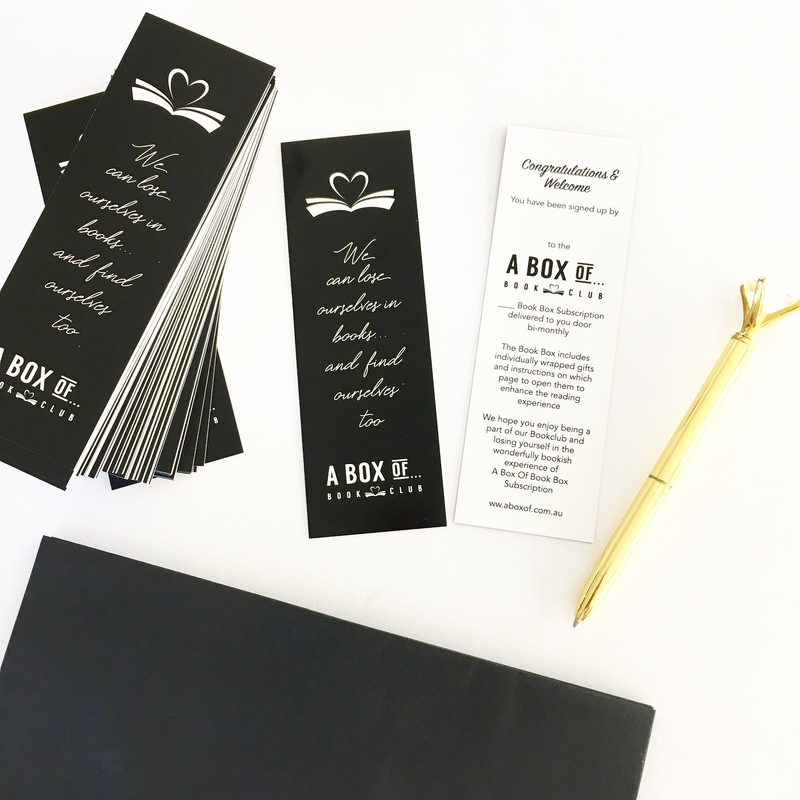 I’m pretty excited that A Box Of has created the ultimate subscription for book lovers. There’s a choice of 1, 3 or 6 Book Boxes (with a difference) delivered to your (or your someone special’s) door every 2 months. 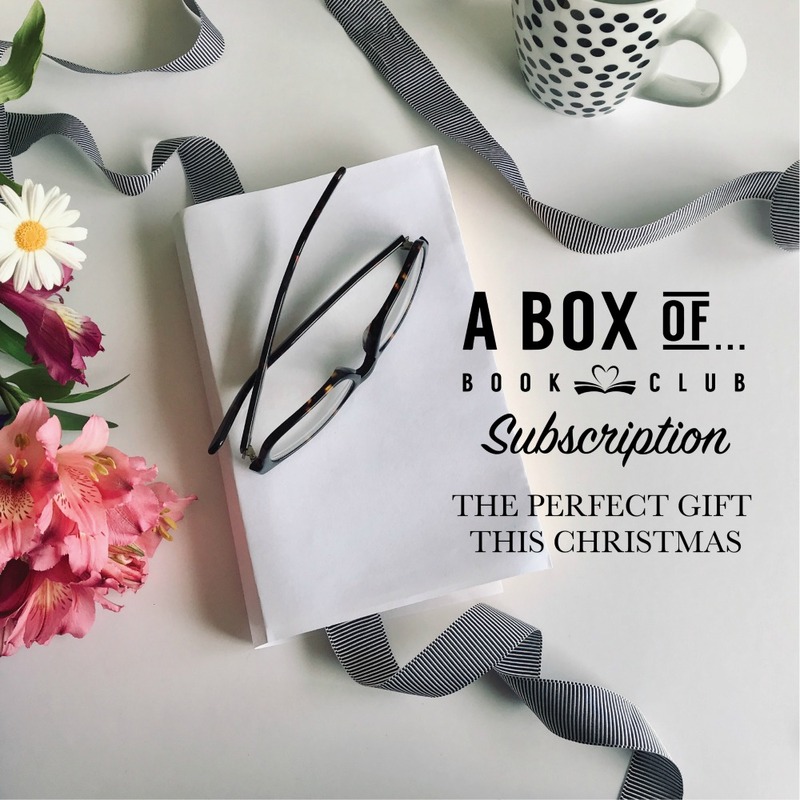 The boxes include a novel that comes well reviewed and recommended plus 3 – 5 (sometimes more) individually wrapped gifts that are directly relevant to the book and always a bit of fun. To enhance the reading experience there are instructions as to which page which gift should be opened. The gifts are sometimes useful, sometimes quirky and always novel – just like the books! It’s a book experience in a box! This would make a great Christmas (or just because) gift and if you sign someone up as a present they’ll be sent a neat little gift card (in the shape of a bookmark of course) letting them know what’s coming. I think this also makes for a wonderful gift for you, because a) you’re worth it and b) who doesn’t like happy mail, especially when it’s happy mail of the bookish kind? And that’s not all! If you love books, you’ll love the fun and friendly A Box Of Book Club Facebook Group where there are loads of reading/ viewing / listening recommendations all the time and a group read every 6 weeks weeks followed up by a group discussion – just like a real life bookclub only you can rock up in your PJs! There are also sometimes interviews with authors, Q&A’s and printable reading lists too for a whole variety of genres. Your holiday season reading is sorted! Ta-da! Now to get this party started and celebrate seven years of blogging, I’ve got a gift card for 1 Book Box subscription for one lucky reader that you can redeem for you, or for a special someone. Now, to be in with a chance of winning the book box subcription all you need to do is leave a comment telling me what’s the best book you’ve ever read and why. 1. 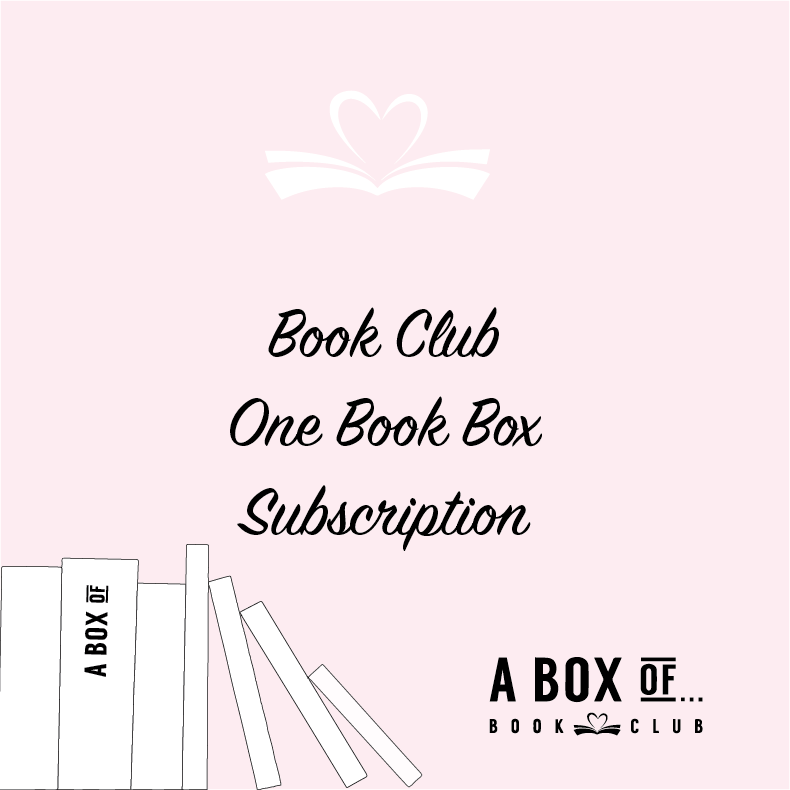 The prize is 1 x 1 book box subscription (February 2019 book box) and will be judged from the eligible entries. 3. To be eligible you must leave a comment sharing what is your favourite book and why. 5. The giveaway is Australia only (sorry international friends!) and is not transferable. 6. The giveaway opens Tuesday 4 December 3018 and closes midnight Thursday 13 December 2018. 7.. The winner will be announced on the blog and notified via email on Friday 14 December 2018. 8. To claim the prize, the winner must confirm their name and address by Sunday 16 December 2018. The giveaway has now closed. Thank you so much to everyone who entered. Congratulations to Kristy who won the book box subscription! Disclosure: I did not receive any financial compensation for this post and it is not sponsored in any way. It’s just a product that I know, love and want to share with you.